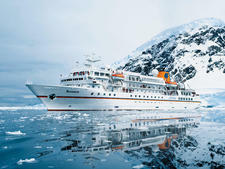 Debuting in mid-2018, Hanseatic Nature is a 230-passenger luxury expedition ship from shipping giant Hapag-Lloyd. 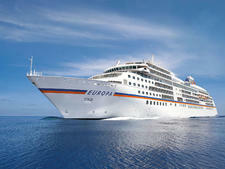 Created for the German market, German will be the primary language onboard. 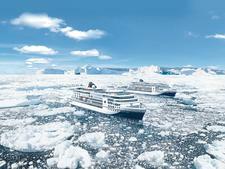 With the highest ice-class rating available to passenger ships, Hanseatic Nature will be able to explore the Arctic and Antarctica. When it does, it will carry only 199 passengers at capacity. Passengers have six cabin categories from which to choose, with the smallest coming in at 226 square feet and the largest at 764 square feet. Butlers are available to passengers in suites. The ship will have three restaurants, two lounges and several spots where passengers can learn more about the places they'll visit. The high-tech Ocean Academy allows passengers to learn the science behind the destinations, while the HanseAtrium will host daily lectures and serve as a meeting place for all shore excursions. 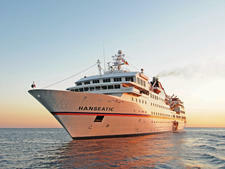 Hanseatic Nature is a twin sister to Hanseatic Inspiration, which debuts in fall 2018. 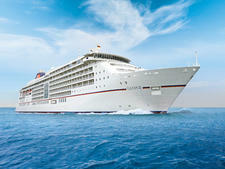 Hanseatic Inspiration is created for a more international market; English will be the primary language onboard.